Get away from that computer! Connect in person! 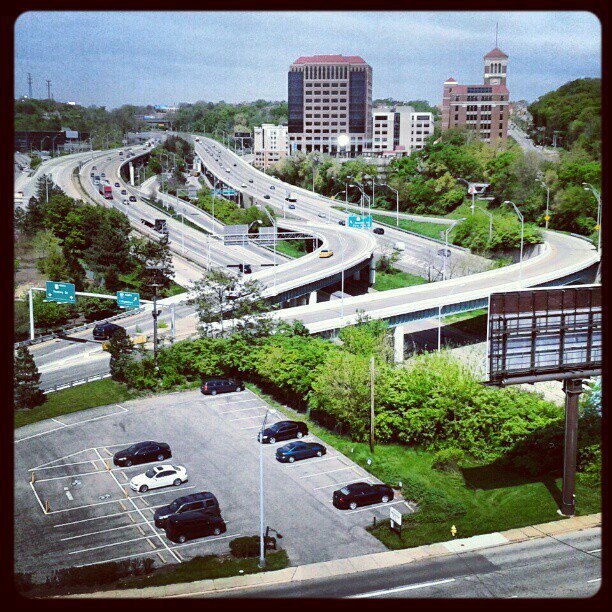 I really like the view from my office window on the edge of downtown Cincinnati. It reminds me to get away from my computer, join the human race, and connect in person with my many online friends and associates. The world of blogs, social networks, message boards and the like has linked me to a vast network of amazing people. We share information and ideas literally every day. We ask and answer questions, post photos of cool places and people, and generally get to know each other better. We already have some knowledge of our backgrounds, perhaps even a close bond, when we finally meet in person or reunite. Since creating a Twitter account four years ago, my “networking” has gone on steroids. Instead of just connecting at PRSA meetings and conferences, I now trade handshakes, smiles and hugs with all sorts of folks at organized meetups of groups such as Cincinnati Social Media, New Media Cincinnati and the Social Media Health Network. I enjoy conversations over coffee or lunch with lots more people than ever. There’s just not enough time in the day to attend all of the great conferences, bootcamps, workshops and the like where I finally get to see that person I’ve only viewed in photos or, perhaps, videos. So, I encourage you to do the same, if you haven’t already. Get out there. It’s not just about fostering online relationships. It’s about meeting great people in the flesh. At the Pink Power Mom awards in Atlanta in October 2011. Social media has had a profound impact in our cancer journey. As many of you know, my wife — author/blogger Tami Boehmer — touches the lives of many as she lives with Stage IV metastatic breast cancer. And I’ve detailed in this blog and our family and friends blog how Tami used social media to write From Incurable to Incredible: Cancer Survivors Who Beat the Odds. You also may have learned through our connections about my move into health care social media in January 2011. But I just wanted to give a quick update before I take my daughter to a photo session with her dance team members about how social media has helped me as a “caregiver.” I don’t really like that word, to tell the truth. I simply look at myself as a husband, a friend to the woman I married on May 17, 1997. Our last appointment with Dr. George Sledge at the IU Simon Cancer Center in Indianapolis drove home to me just how helpful social media has been for me — the husband of a woman who has thrived with breast cancer for more than a decade. I checked in on Foursqure — and shared the check in via Facebook and Twitter. Almost immediately, friends tweeted and commented much-needed messages of support. I can’t tell you how much the prayers and positive thoughts help as you wait to meet with the doc. Meantime, Tami was getting lots of helpful information on her iPhone from other cancer survivors she had met through her blog, Facebook, Inspire.com, and countless other online sources. Several women who had had their breast cancer spread to the pelvic area like Tami told how they endured a rough patch and are enjoying each day now. One shared a story of how she hiked in Utah. 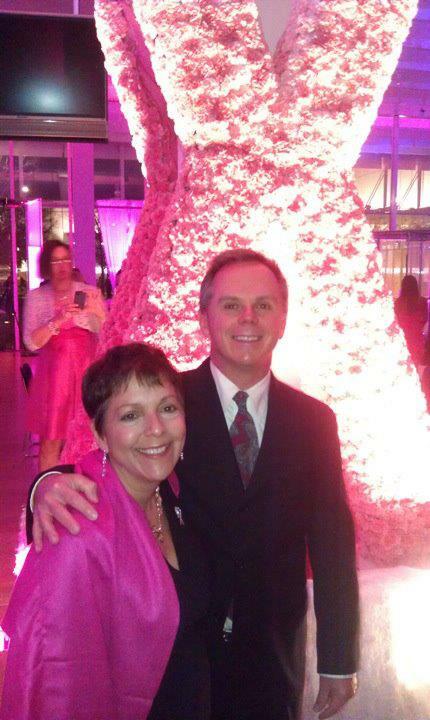 Another told how the treatment options we were considering had played out in her cancer journey. When Dr. Sledge consulted with us, we were armed with better-informed questions. And we didn’t feel alone, either. All thanks to social media. I’d like to share more, but it’s time to head out and do my fatherly duties. Perhaps I’ll share more at a later date. If Tami’s an e-patient, I’m an e-caregiver. Thank God for social media. 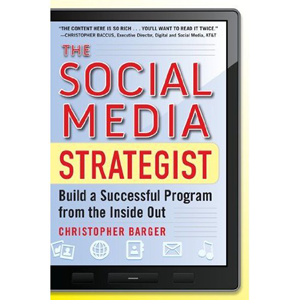 If you lead social media strategy for a large organization, here’s a must-read: The Social Media Strategist: Build a Successful Program from the Inside Out by Christopher Barger. Lots of great best practices and lessons learned from a seasoned pro who has guided successful programs at IBM and GM. Barger does an excellent job of spelling out the internal structures and processes needed to transform an organization into a social business. For example, he talks in detail about two key players and their roles — the executive champion and the social media evangelist. He explains the advantages and disadvantages of various departments owning social media. He talks about forging relationships with functions such as Legal to move an organization ahead. Areas such as social media policy, ROI and measurement and training are covered. As Barger points out, these may not be the glamorous parts of the job — nearly as much fun as interacting with a blogger, giving a “rock star” presentation at a conference, or executing an exciting campaign — but they are critical. As the social media evangelist at Catholic Health Partners, I find myself often doing the behind-the-scenes stuff that Barger describes. It was excellent to have him affirm some of what I’ve learned — and to pick up ideas based on the experiences he shares in the books. I highlighted lots of other helpful info, too. If you’re in the same line of work as me, pick up the book and see what ends up in yellow on your pages.